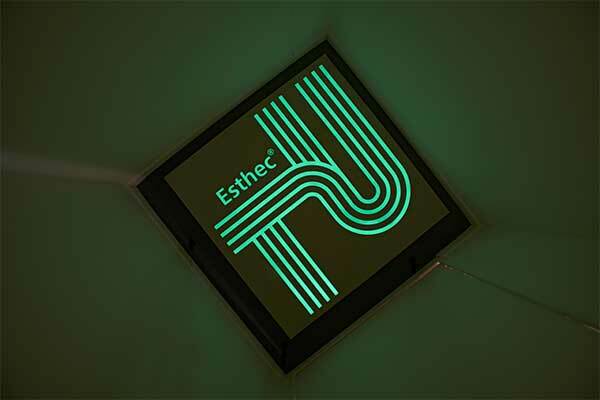 Esthec introduces a special concept: luminous decking material. Solar energy that has been stored during the day is converted into light at night time. The Dutch producer of composite decking for the yacht industry has achieved a world first with this revolutionary invention, which was given the provisional name "Solar Glow". The luminous decking ensures that gangways remain visible in the dark and thus substantially increases safety aboard boats. At the same time, the innovation is sustainable, since the luminous deck uses solar power instead of electricity from non-renewable sources. In addition to improving safety, the concept also provides designers with a new dimension in creative deck design. Esthec expects the luminous decking material, which it developed in-house, to be used both by competitive sailors and in recreational boating. The first prototype has already been presented. Safety is an important issue in yacht building. Anyone who has ever spent a night on the water knows how difficult to see the gangways on a boat can be. The new Esthec® luminous decking material, provisionally named “Solar Glow”, makes sure that people can move around safely on board, even when it is dark outside. Given that Esthec® is already non-slip and remains slip resistant in wet conditions, the composite decking material is much safer than the traditional teak or other alternatives that become slippery much quicker. The new luminous quality is obtained by an additional step in the production of the composite decks that Esthec® already offers. During the day, there is no discernible difference between the luminous and the existing Esthec® material; the deck only emits light in the dark. The Solar Glow concept is not only ground-breaking in terms of safety, by the way, but also from a decorative point of view. The luminous material can be installed in any desired design or pattern. 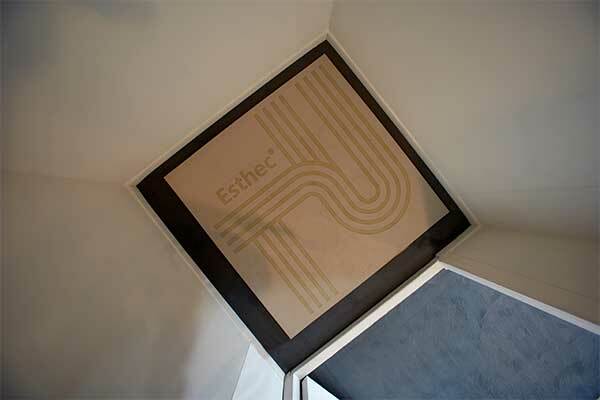 Esthec® has developed the luminous decking material in-house. Research and development is at the heart of the company, once founded to offer a sustainable alternative to teak. Esthec® decking is made of fully recyclable composite material. It does not require teak trees to be felled and has no negative impact on the environment. The Esthec® decks have many other advantages compared to traditional teak decking. Esthec® does not absorb water, which prevents algae from growing on the deck. The material is easy to clean and extremely low maintenance. In addition, Esthec® provides many more design options than teak. Instead of a traditional plank pattern and the standard black caulking, both the decking material itself and the caulking from Esthec® are available in a range of different colours. It also allows yacht builders complete freedom in choosing patterns for the deck. With the many design possibilities of Esthec® the deck can be given a completely different look.